Hi! I previously had three meta fields configured with my post type through the Toolset Types plugin. And later I installed this plugin and set up the form mapping to my post type. They show up properly in the left side dropdown under Custom Meta Fields mapping. See screenshot. I have now added a few more custom fields for the same post type. But they are not showing up in the custom meta fields dropdown selector. For draft mapping as well as completely new form’s mappings. But as I know the custom field’s name (wpcf- prefix and its slug), I am choosing the last “Custom field” option, which lets me type in, and manually typing in the name. See screenshot. And then the mapping is working: Upon a frontend submission test, the value submitted successfully got mapped to the custom meta field. So it is working with the manual typing workaround, but Post-my-CF plugin is failing to detect new meta fields created by the Toolsets plugin after it was installed. This can be a problem for website admins who are not aware of their meta field’s naming prefix. So kindly look into this when you have time. I am not having this issue with custom taxonomies created with the same Toolset Types plugin : I configured new ones and they come in the taxonomies dropdown properly. Anyways, thank you once again for creating such a wonderful plugin. This is not a bug. When you create a meta-field with some other plugin, that meta-field is not created in the database until and unless you save some values to that field. 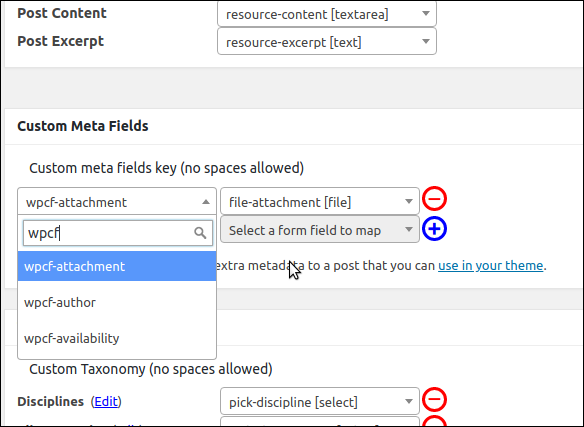 This plugin scans previously saved posts for a given post-type and lists all the meta-fields which have been saved for those posts. So unless these new meta-fields have never been used in previous posts, they will simply not show up. Yes, got it now. Thanks! 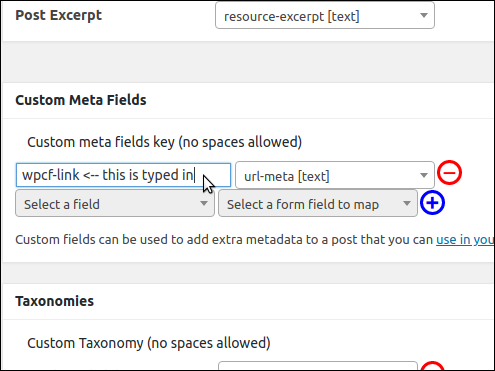 The topic ‘Custom meta field: New fields do not show in dropdown’ is closed to new replies.